Win or go home, it’s as simple as it gets. 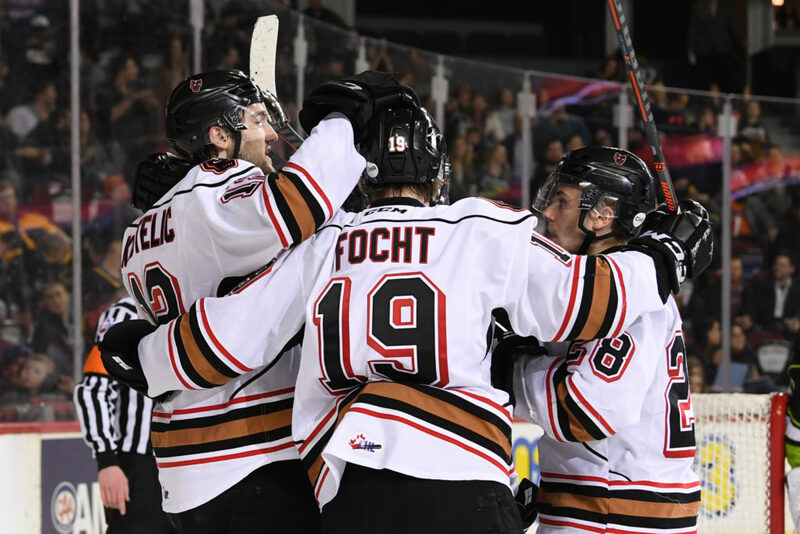 The Hitmen are back in action Wednesday night at the Scotiabank Saddledome for Game 4 against the Oil Kings, trailing the best-of-seven series 3-0. They don’t need to be told about the hole they are in; they are very aware of the climb needed to win the series. “We need to win Game 4 plain and simple,” head coach Steve Hamilton said. “We have to put the puck in the net, we haven’t been capitalizing on our chances and we need to be hungry for those second chances. 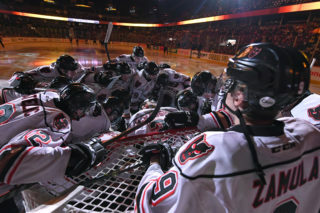 Tuesday night saw Edmonton win their second overtime game of the series by a 2-1 score. Zach Russell scored in regulation with Wyatt McLeod scoring the winner 2:46 into the extra session. 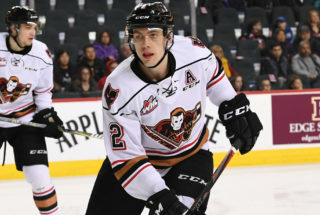 Mark Kastelic provided the lone Hitmen marker as the captain tied the game late in the game for his team-leading sixth of the post-season. Instead of looking ahead on needing four straight wins in order to move onto the Eastern Conference Finals, all of the focus is on an important Game 4. 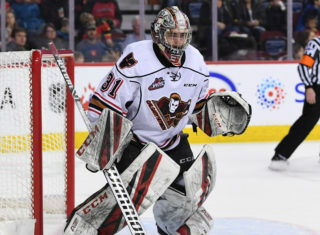 It’s been an interesting series to say the least for the Hitmen, with a handful of tough bounces on their end while not getting much puck luck at the other end. With two overtime games played, they could very well been leading the series but instead will be fighting for their playoff lives. 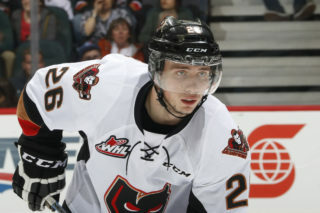 “We haven’t gotten the bounces to go our way all series and that can be a little frustrating,” Kastelic said. “It’s important for us to stick to our game and not get discouraged when things get tough and keep stay level-headed. 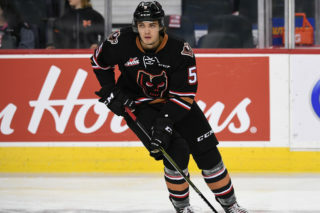 Adversity has been a part of the Hitmen DNA all season long, and once again they are facing it with their backs against the wall. But there belief is still much very alive. “No matter the situation we’ve never stopped believing in ourselves,” Jake Kryski said. “There’s going to be that hunger and desperation to extend the series. Mark Kastelic (5G, 3A) has points in five of his last six games. Carson Focht (1G, 1A) and James Malm (2A) both have points in back-to-back games.